I think you’ll agree that activities and experiences are the things we remember most often from our childhood. Activities are very different than the “new” from a toy or object that quickly wears off. The activities become memories that we hold onto and remember the most growing up. It’s not always a big vacation that becomes the best memory of a family activity. I remember my mom once created a scavenger hunt throughout our house to find a new toy. Guess what was more exciting than the new toy? The scavenger hunt! I thought it was so awesome to go through the house figuring out and finding each clue. That sticks out in my mind whereas I can’t even remember what the toy was! I love a fun family activity that doesn’t cost a lot of money. 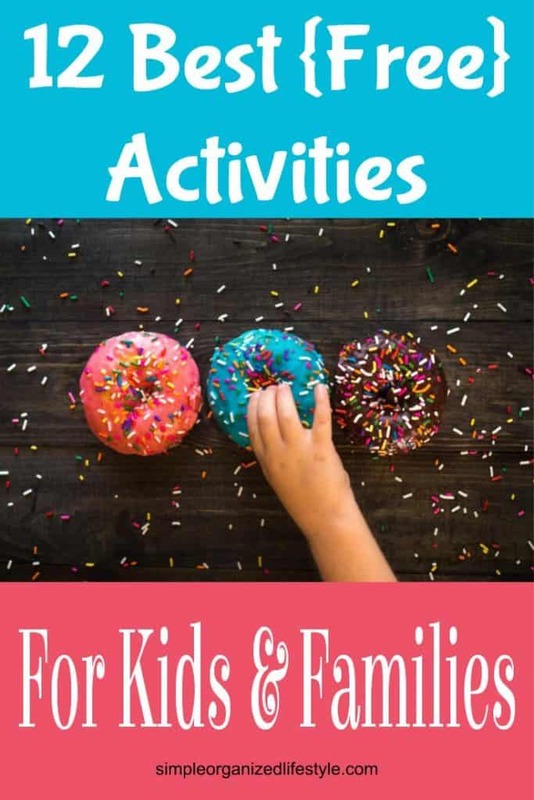 I’m sharing 12 fun activities for kids and families. Most of them are free with the exception of gas if it requires a drive, or a few basic supplies. These are the things I believe will last much longer with our kids than material possessions. A family movie night is about everyone putting away the electronic devices and watching a favorite classic together. It’s even more special when you gather some blankets or sleeping bags in the floor. Don’t forget to complete the experience with your family’s favorite snacks and candy! A movie like The Polar Express is a fun one for everyone to watch in pajamas while enjoying hot cocoa. A family movie night is a great way to relax and laugh (or cry in the case of a movie like Old Yeller) and spend time together. For kids, it’s fun to have their parents engaging in a movie since we’re sometimes getting things done while they are content watching a movie. It’s fun to just drop everything and be a kid again ourselves! Check out your local newspaper or chamber of commerce website for free events in your area. Events like parades and concerts are great activities for families and a way to be involved in your community. The local library is another good place to check for events. Most of them have summer reading programs where kids earn prizes for meeting their reading goals. The whole family can get involved in going to the library to check out books and other special activities. Our town hosts a “911 Festival” each year where all of the first responders come together to let kids look inside their vehicles and chat with them. They even have a helicopter and a place where kids can watch the firemen contain a fire from a safe distance. It’s a great free, fun, and educational experience for the families in our community. Our family’s favorite vacations are in the RV, but we’ve also created a camping experience right in our backyard. You can put up a small tent, grab some sleeping bags, and enjoy an outdoor adventure without ever leaving home! This activity is a way for everyone to disconnect from the distractions indoors for awhile and just enjoy one another’s company. This is a also a great time to build a small campfire or use a fire pit to make S’mores and tell stories. An experience like this becomes a really special memory for the whole family. Picnics offer a way to enjoy a meal with a view! Local or state parks are usually ideal places to spread out a blanket or set up at a picnic table. Things don’t always go as planned when eating outdoors, but it’s part of the charm! Afterwards, kids can run around and play or fly a kite to enjoy the surroundings even more. 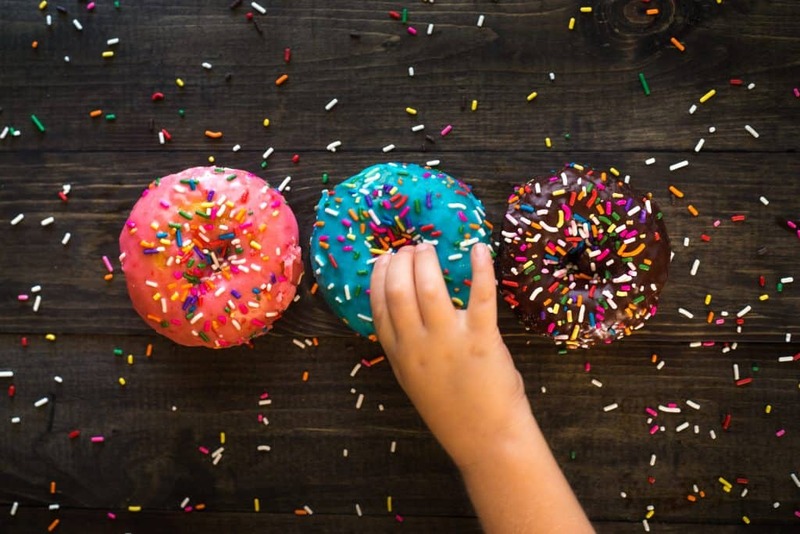 Kids love helping bake and decorate a cake or cupcakes. It’s even more fun when they get to lick the bowl or the beater mixer. They can measure, pour, stir, and add the icing. The mess is worth it! As long as there is not a storm cloud in sight, how much fun is it to play in the rain! I think the kids in this video would definitely agree! Get away from city lights, find a dark area, and stargaze. We use the app Star Walk (free and paid version) to figure out the best opportunities for stargazing. Another thing you can do is go to https://spotthestation.nasa.gov/ and sign up for a text alert when the International Space Station is about to fly over your area. Technology has made stargazing much more engaging! The @Space_Station made a beautiful pass over the Baikonur and Cosmonaut Hotels this evening in Kazakhstan. There are many learning opportunities that come with planting a flower or garden. It’s a great way to teach patience and responsibility. It’s great for kids to experience that hard work pays off when you’re able to enjoy fruits and veggies from right outside your door! I plant a mini-garden every year despite the fact that I do not have my mom’s green thumb. My son gets involved and we go through the fun and the not so fun steps together. I believe he’ll remember these mini- garden adventures, for better or worse! Growing up, I loved going to my best friend’s house on a Friday night because it was always family game night. The one that stands out the most was the game called Pit , which was my first experience with stock market trading terminology. We would sit around that table and yell “trade 2, trade 3” for hours! It was so much fun. Kids love to build and create things. Pinterest offers a plethora of ideas for simple DIY art or wood projects that families can do together. Some of these projects may have a cost involved, but others could be from simple items you have around the house. I remember my aunt used to give me a shoebox, magazines and glue. She and I would work for hours cutting out and gluing pictures to create a momento box. My aunt was amazing when it came to doing simple crafts and I have the best memories of our time together doing these fun activities. 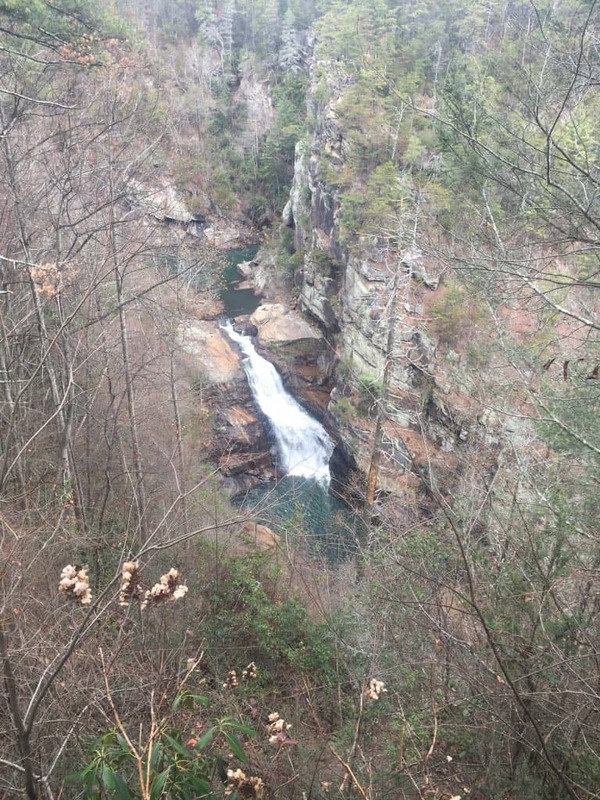 Hiking trails offer a great way to explore the great outdoors as a family. The website called TrailLink lets you put in your zip code to find trails in your location. Many of these are bicycle or pet friendly so that everyone can join in on the fun. We have a historic site (image below) full of trails, waterfalls, and a swinging bridge that’s just a few minutes drive for our family. It is great for exercise and a family activity enjoying some of the most breathtaking views nature has to offer. An orchard or farmer’s market is a place full of sights, smells, and fun activities. Many of these places have different demonstrations of parts of the farm to table process. 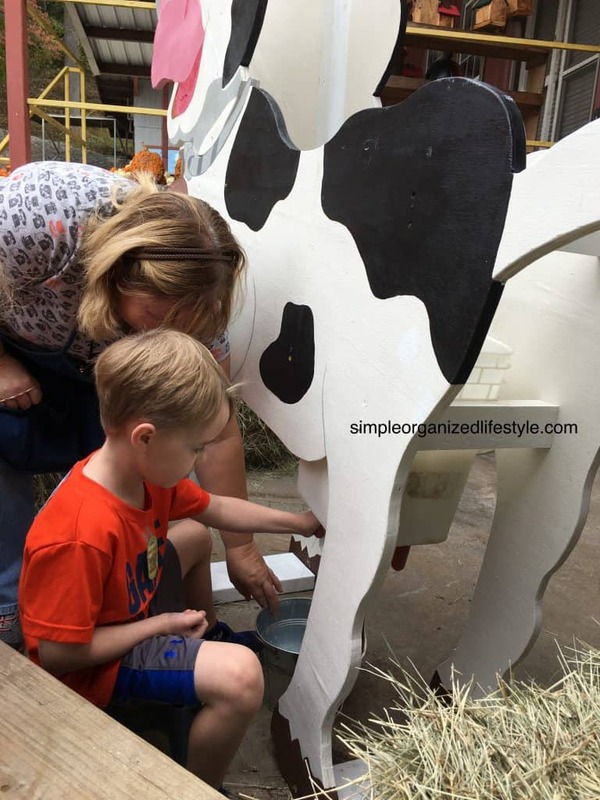 As you can see in the picture below, my son had a great time with a milking the cow simulation activity at a farmer’s market visit! What stands out as your favorite fun activities, either now with your family or as a child? I’d love to hear your ideas! What a great list! I love that I can go through and check off all of them. We do some regularly, others not so much but it’s a great reminder to it MORE often. This is a great list of activities! Our favorites are the Family Movie Nights and Community Events! We have just gone to watch Jumanji and it was so much fun! That sounds like fun! The community events are some of my favorites too. Thanks for reading Nat!